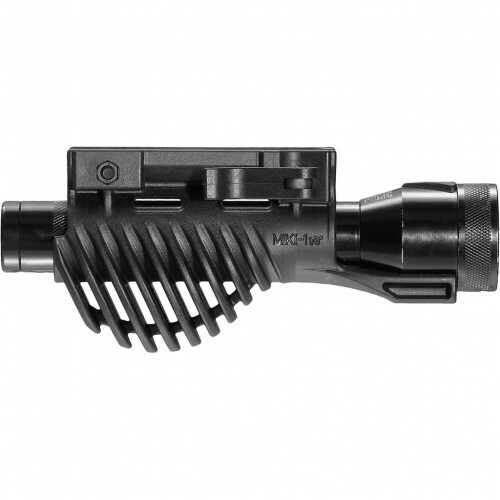 The world's most ergonomically designed foregrip allows the most comfortable, natural, fighting stance. This unique grip permits several gripping positions such as forearm, foregrip and others. Most importantly, it fits perfectly in your hand. Holds any 1" lights. Easily fits on any Picatinny rail. Tactical light is secured by quick release locking system that allows quick mounting or removal of the light, an advantage for rechargeable lights. See also MIKI 1 1/8 for any 1 1/8" light.